Optimal nutrition is essential for maintaining health and wellness. Nutritional supplementation has come to play a central role in your health regimen. Nutritional supplements are the center stage in the field of fertility health and infertility therapy. This ensures that you are getting all of the nutrients that your body needs to be healthy. It provides a healthful complement to conventional infertility treatments. This health supplement contains all the vitamins and minerals and good for overall health. It is effective in rebalancing your hormones and improving overall health and fertility. Fertility Supplements integrate key vitamins and minerals central to a healthy preconception with herbal formulations that supports successful conception. Folic acid and B vitamins are the essential supplements to improve the chances of conceiving. It is a nourishing supplement and an excellent way to support healthy potency through its superior nutritional content. Research says now a day’s infertility is a major problem faced by the modern society. Infertility problem can be in male or female but the problem of female infertility is seeing more. The unhealthy lifestyle is responsible for and several other reasons including genetics, age, disease and even stress are there that because poor fertility levels in women. Just because you are mentally ready to take on the diaper challenge, it does mean that your body is physically ready to either conceive or carry a child to term. Nevertheless, making the right diet and lifestyle changes, you can actually correct this problem and increase your fertility odds. At the same time, there are also many ways on how to boost your fertility effectiveness. Several health supplements can be very effective in boosting a woman’s fertility like supplements of zinc, vitamin C, selenium and folic acid. A woman can consume these fertility diet supplements individually or opt for a specially prepared supplement with an appropriate mixture of herbs and vitamins that can help her to increase her chance of getting pregnant. 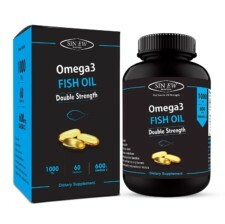 These kinds of health, supplements can be purchased in major vitamin and health stores or on health related website. Due to the development of medical science, treatment has actually become very easy for all of us. Infertility is treated largely with the use of advance equipment’s, medicines and other medications. Nonetheless, in few complicated cases even allopathic fertility supplements for women do not work so boosting the fertility in the natural way is the best option. Below are some fertility supplements for women that help them in enhancing their fertility. These acids are basically found in flax oil, cold-water fish, sunflower seed, soybean, borage, walnut and safflower oil, and EFA’s can help your body effectively produce the prostaglandins needed to encourage proper hormonal balance. A stabilized hormone system is essential to ensure that your body is ready for pregnancy. Vitamin A The powerful antioxidant helps in conceiving. It can help the body produce the right amounts of cervical mucus and protect male sperm from the damaging effects of free radicals. Vitamin A deficiency is also shown to cause low sperm counts in men. The best natural sources for Beta Carotene are orange and yellow fruits and vegetables like carrots, sweet potatoes, and cantaloupe. Other good sources are eggs, spinach and dairy products. B Vitamins such as B6 and B12 can help keep woman’s ovaries in good working order. Fish, beans, soya, nuts, eggs, meats and whole grains are all great sources of B Vitamins. 1. Vitamin C:- Not only great for combating those nasty colds, this powerful antioxidant is also great for helping out with sperm motility. It is also great for enhancing the function of the thymus, neutralizing toxins and reducing stress (all factors in infertility). Great sources of C are citrus fruits, strawberries, watermelons, and peppers. 2. D-Pinitol 600:- This naturally occurring compound has been found to be very beneficial for overall ovarian health. It is also shown to reduce insulin resistance: one of the leading causes of infertility. 3. Vitamin E:- Vitamin E is the powerful antioxidant that performs many roles including helping with fertility. It can help speed up the healing process and enhance thymus function. Avocados, Brussels sprouts, soybeans and unadulterated honey are all great natural sources of Vitamin E.
4. Chase Tree Extract:- This element helps maintain healthy levels of prolactin in a woman’s body at the time of monthly menstrual cycles. It can help trigger the production of progesterone that can help with ovulation and overall fertility. 5. NAC (N-Acetyl Cysteine:- This beneficial antioxidant can help reduce testosterone and homocysteine levels in a woman’s body, thereby increasing fertility. It is also great for general immune system and lung function.